Baan Na-na is a hidden gem in Taman Pelangi, located at Jalan Kuning which has few other famous restaurants on the same street. Baan Na-na is not easy to be identified, as it is located at the first floor above a Thai steamboat restaurant.We found this place through friend's recommendation. During our first visit here, the restaurant is still very green and not very well known. 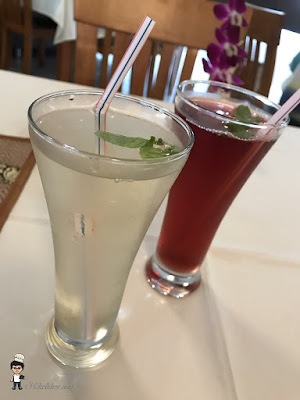 They were having promotion where every patron gets a complimentary house drink, either lemongrass or roselle juice. Although the promotion is no longer available, almost every lunch set meal comes with a beverage. 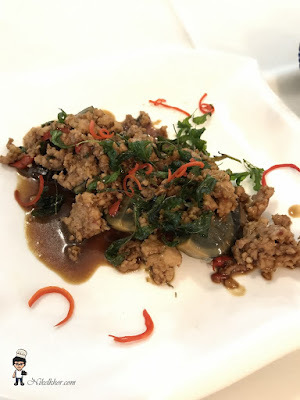 We ordered for a set meal for 2 pax, comprising a chicken tom yam, stir-fried minced meat with century egg and basil leaves. The set meal also includes 2 sunny-side up and white rice. 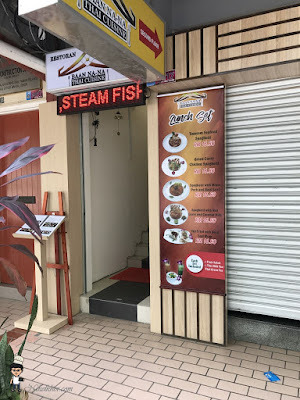 Even I always prefer tom yam seafood more, the tom yam chicken turned out to be better than expected. Chicken thigh was used and stir-fried before cooking it with the tom yam soup, hence the texture was soft and springy. The tom yam gravy was great too, the non-excessive hotness did not overwhelm the fragrance from the spice and lemongrass. 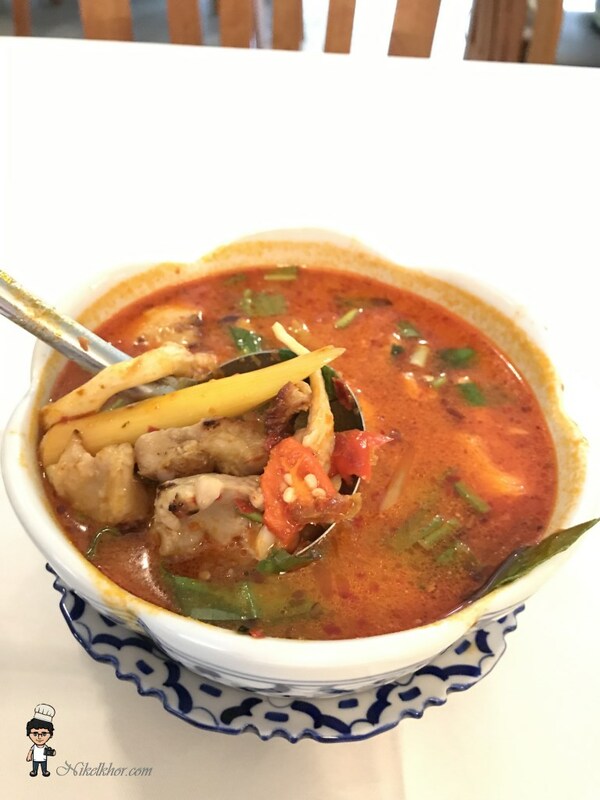 We have been big fans of Pad Kra Pao, especially love the aroma of basil leaves with a hint of spiciness from the chili padi. The version here is slightly different, which came with century egg. The combination was new to us but indeed a good try. A very flavourful and savoury dish to go with white rice. 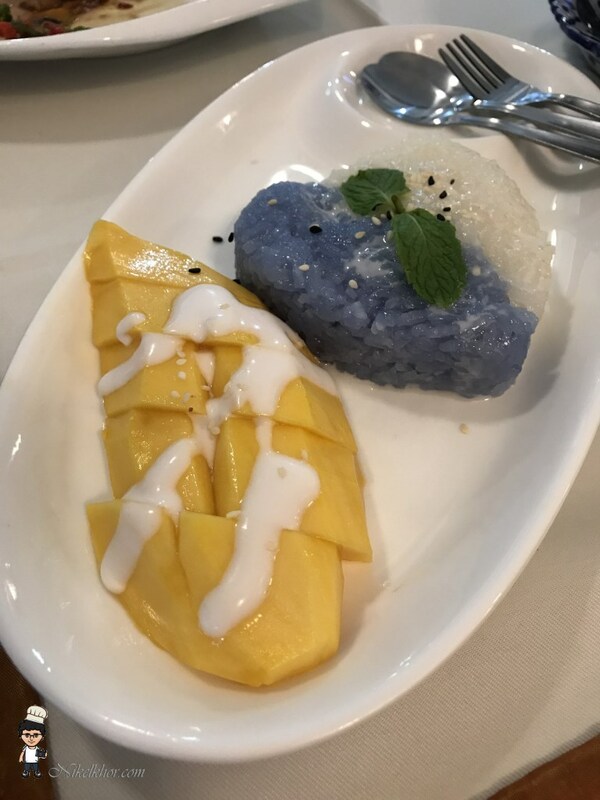 We added on a mango sticky rice to complement the meal. It marked a perfect ending to our lunch, the serving was very decent at a reasonable price.